For two nights, a sinister clown has tormented my dreams. I’m not only exhausted from the lack of sleep, but I’m living under the constant fear that I’m going to turn over in the middle of the night and find my partner dressed up like a clown. 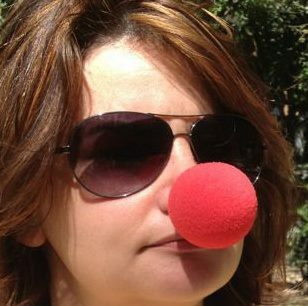 This morning, while discussing my clown dreams, I told her that if in fact she could pull off slipping into a clown costume in the middle of the night that it would make for the perfect revenge for all of the practical jokes I’ve played on her over the years. And that I wouldn’t even fault her for doing it — that is if I survive the massive heart attack. But I’m young, I could probably bounce back from a coronary in 6 to 8 weeks. But, she insists that she doesn’t need my help to scare me. I beg to differ. There’s no one better at tormenting me, than me. Her loss, really. This waste of a perfectly good scare got me thinking. What if I was the one that dressed up like a clown in the middle of the night? Not only will I embrace my fear, but I might just overcome my irrational phobia of the mimes in drag. I might also have to overcome a few kicks to the face, but, in the end, it will be worth it. Previous Post Where has all the gluten gone?